I love to cook, but I hate planning recipes for the week and buying more groceries than I’ll be able to eat (because grocery stores don’t cater well to someone shopping for herself only). That’s why I’ve been trying out all the meal delivery kits I can find. I get to rely on someone else to plan my meals, grocery shop for me, and send me no more food than I’ll need. Most recently, I tried Home Chef—a meal delivery service developed to make home cooking easy, fast, and delicious. Here’s my review of the three meals I chose, made, and devoured. FYI: This post contains affiliate links, so we may earn a commission if you purchase something we recommend. Choose your meals from 15 fresh recipes featuring steak, chicken, pork, fish, vegetarian, and beyond. Receive your box (ships for free when you choose 3 meals) and get cooking! Every meal features pre-portioned ingredients and an easy-to-follow recipe card. I think this was my first experience making Thai food at home. I just love my takeout favorite, pad see ew, so much that I’ve never really thought to attempt making it on my own. I also usually stick with chicken in my Thai dishes, so I thought this shrimp variety would be a nice change. Hands down, my favorite recipe of the box. Easy, delicious, sinus-clearing… The recipe said, “chili oil (to taste)”—so, naturally, I dumped the whole thing in. “I want to taste it,” I told my friend, who’d joined me for dinner that night. The end result was spicy, but not too spicy. Almost as good as takeout (but much healthier, for sure, so it was a nice tradeoff). I love stuffed peppers, jerk seasoning, and poblano peppers. I’d never experienced a combination of any of these, but the idea looked intriguing. I decided to try this recipe right when the box arrived, but the chicken thighs were still frozen, so I substituted in boneless, skinless chicken breast that I had on hand. True to Home Chef’s mission, these were easy to make and made for a tasty, balanced meal. I wished I had thawed out the chicken thighs instead of making the swap, as I think the meal could have benefitted from the more flavorful, fattier, dark meat. I also wished there had been more pineapple. I enjoyed the bites with everything—pineapple, chicken, pepper, cheese, and onion—more than the rest. Though I love tomatoes, I didn’t feel that they added much to the dish, so I would have left them out if I did it again. Tip: If your Home Chef recipe calls for pickled onions, prep those at least a day ahead of time. The 10 minutes they recommend in the recipe just isn’t enough time to get the flavor and texture out of the onions that you want. I kind of went out on a limb with this recipe choice. Other than plantain chips, I’d never tried plantains, so I wasn’t sure if I was going to like them. Still, black beans and poblano peppers are two of my favorites, so I figured they would balance out the plantains either way. Okay, these were gooooood. The poblano peppers and crispy jalapeños balanced out the sweet plantains perfectly, and the beans tied everything together and filled out the dish. Again, as with the stuffed peppers, I wish I’d have pickled the onions the day before (but I got to enjoy them fully when eating the leftover tacos for lunch the next day). I don’t think the cotija cheese added much to the tacos (I even left it out when eating the leftovers). I would have preferred some kind of crema instead. Also, I wished there had been more poblano peppers—maybe even instead of the crispy jalapeños—for that fresh spice and crunch. Want to give Home Chef a try? 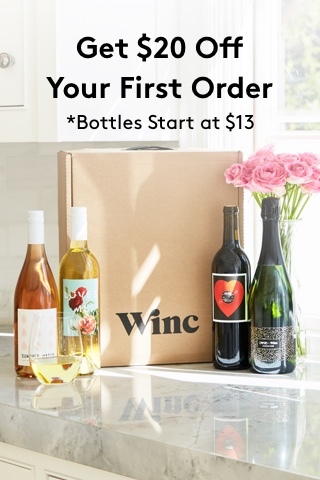 Use this link to save $30 on your first box!